For those who don’t know, there are four common electrical problems, and they are intermittent power, power surges, redundant wiring, and overloaded circuits. All of these problems may start electrical fires and so they need to be addressed and sorted out as soon as possible. For a professional electrician, these problems are not difficult to identify and correct. Intermittent power is caused by a wiring problem and at the root of this common electrical issue is loose wiring. To locate the cause of this kind of problem, you will have to trace the electrical cable from the unit to the plug. Inspect for any sign of wear or tear, fray, or any exposed wiring. 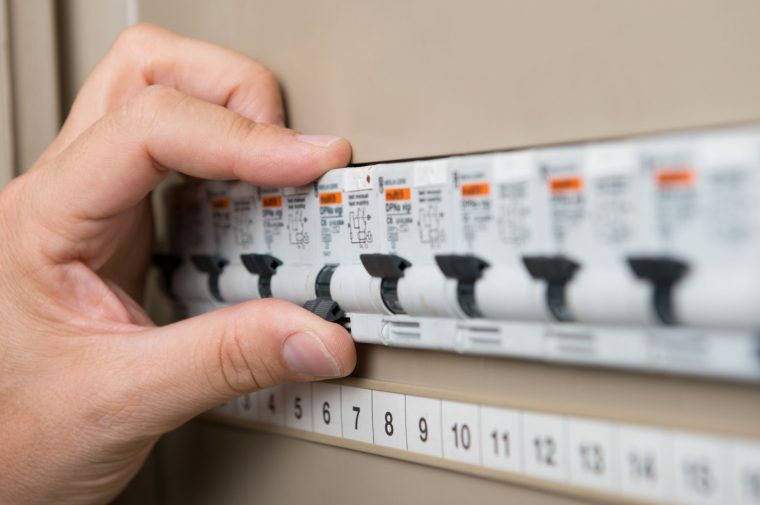 Expert electrical contractors in Perth, such as Current Electrical Service, can also handle any kind of job big or small at an affordable price. Then the electrical item should be taken apart to check the connection point of the power to the unit. Should the wiring be frayed at the point of connection, either try fixing it yourself or take it to a good electrician. Power surges do happen and they are caused by a sudden increase in the power supplied by the electricity company. This can overload the circuit and cause the electricity to switch off. Not good if you’re away for a few days and you have a full fridge and freezer! There really is no way to get around this at the consumer level. But if you think that there may be a problem you can purchase an electrical power bar and plug your electronic equipment into it. This has a built in circuit to ensure that any surges that go to the power outlet are run through another circuit. Redundant wiring is a common electrical problem that happens in homes where a previous owner was creating their own electrical wiring. Not all of the wiring is used, and sometimes, live wires have been left without being properly capped or terminated. In any cases similar to this, just get professional electricians in to sort it all out. Overloaded circuits will happen when too many extra power outlets are using existing wiring as their point of supply. This shortcut method makes problems when multiple appliances are plugged in and using power at the same time. The demand then exceeds the capacity and causes blown fuses. The warning signs of an electrical problem will include the necessity of keeping on having to reset the fuse for a particular circuit or sometimes, flickering lights. Should your computer crash because of an electrical surge and there are problems using multiple items in the same room, these are another indication of a wiring problem. Nobody needs to have any electrical problems in their home, of all places! In Perth, contact Current Electrical Service for reliable and trustworthy electricians with over 30 years of experience in the business. Contact them today where they will happily take your call.